Late as usual with the monthly favourites post but hands up if you are glad January is over! It seemed to go on forever! Must be the comedown from the festive period - now all that weighs on our minds is the size of our bank balances and our waists. However, January wasn't a complete drag, I did manage to muster up some favourites for you. Urban Decay Naked 3 Palette £37, I received this absolutely stunning palette from some of my lovely friends. 12 super stunning brand new shades of 'rose hued' neutrals. Urban Decay never fail to disappoint me when it comes to eyeshadows. I also love their Basics Palette the original Naked - which unfortunately has gone walkabout. YSL Forever Youth Liberator Serum £48, I received this to test drive a while ago, in fact it appears in my 'Valentines Day gift ideas for her' post which you can read a review of it here. It is incredible and it keeps my skin really soft. Do I look 25? No, but I still love it. Ok, so this is pricy but here's a tip - Ask for a sample at your local Boots, John Lewis, Debenhams, they have miniature sample bottles and they last a long time too. NARS Radiant Creamy Concealer £21, I usually purchase this online - we don't have the luxury of having a NARS Counter in Aberdeen. Whilst in New York, I hit Sephora and stocked up. This concealer is brilliant. Covers your imperfections and highlights any grey areas you want to hide. If you have never tried it, or are unhappy with your current choice, I seriously recommend giving this one a try. Josie Maran Coconut Watercolor Cheek Gelée $22, Right, if you are planning a beauty box swap with a US Blogger, or perhaps France (as they also have Sephora) put this gel blush on your wish list. Made up of coconut water, Elixir, & Argan Oil this is the most hydrating blush around. It gives an utterly gorgeous finish and lasts for hours. Don't be taken aback by how bright it is but this particular shade 'Getaway Red' blends so easily into the skin - I like to use a stippling brush and it is actually buildable. This gem comes in 6 stunning shades. I just love Josie Maran products, only wish they were a little easier to get my hands on. Korres, Greek Yoghurt Nourishing Lip Cooler $19 - Raspberry, don't you just want to eat this already? This product from Korres is fabulous. It is packed full of goodness to gently hydrate and cool your lips throughout the day. With it's rollerball end it glides on with ease and leave the lips feeling great. This is the shade Raspberry and a tiny hint of colour on the lips is left in it's wake. Unfortunately another request you need to put in if you have contacts abroad. I can't find this anywhere online. Glad I found this in Sephora. 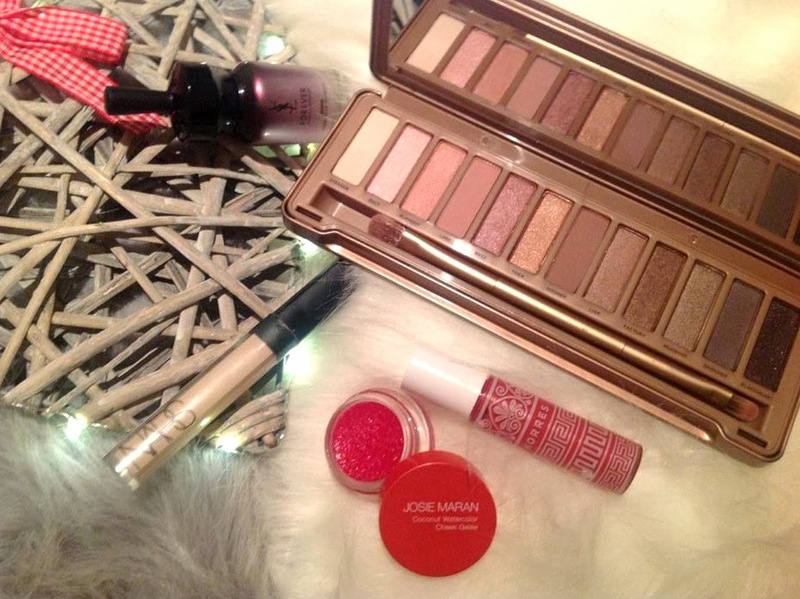 What do you think of my January Favourites? What have been yours so far this year? Such a lovely list - I use the YSL Youth Liberator foundation and it's actually changed my skin - I love it so much!